If you read a lot about poker, you’ll have noticed that a somewhat different tone creeps in when people are writing about Omaha hold’em poker. They’ll talk about “stepping up” from Texas hold’em to Omaha. There’ll be mention that someone who thinks they’re good at Texas can make beginner’s mistakes once they move to Omaha. The general impression is that moving to Omaha means mixing it with the big boys (and girls!) There’s an implied challenge “Go on then – if you think you’re hard enough”. Well, poker’s poker, and there’s nothing different about the hands in Omaha, they’re the same hands that players spend their lives calculating and chasing. And there’s also nothing different about the betting rounds either – four of them just as in Texas Hold’em. And yet – all that talk of Omaha hold’em poker as a “rollercoaster” isn’t entirely wide of the mark. And the reason lies in the way the game varies from Texas, and what that means in terms of your Omaha poker strategy. So let’s note the differences first, then talk Omaha hold’em strategy. What’s so different about Omaha hold’em poker? With Omaha you get dealt four cards in the hole. And that’s a world of difference. The possible hands you can make increase exponentially. Unfortunately, so do the possible hands of everyone else at the table. And further, when you calculate your final hand, you can only use two of those initial hole cards to make the hand. Also you must use two of them – the other three need to be on the table. If you’re used to Texas, getting a higher pair in the hole is a great start. One mistake you can make, is to get say, a pair of aces in the hole, with a couple of other cards that are not going to help towards any kind of hand. The amount of excitement you should feel in Omaha is about half the amount of excitement you would feel in Texas. There are two reasons for this – everyone else also had four cards in the hole, and they too have interesting starting cards. It’s very easy to overrate how uniquely good your hand is, and to over back it. Lots of people round the table think they have a winning hand on the way. Nearly all of them are wrong. If you’ve played poker for any length of time, you know that money management and financial discipline are key skills for a player who wants to be in the game long enough to get a great hand. Part of this is having the discipline to fold unless there are strong reasons for staying in. But with Omaha hold’em poker, you can start to lose this discipline because hands so often look as though they have fantastic potential. People are very bad at assigning a comparative value to others’ hands and the four cards in the hole mean that it’s easy to underestimate the other hands round the table. So make sure your Omaha hold’em strategy includes keeping your stack intact, so it’s there when you need it. Texas hold’em is often played with no limit, whereas Omaha frequently has a pot limit. 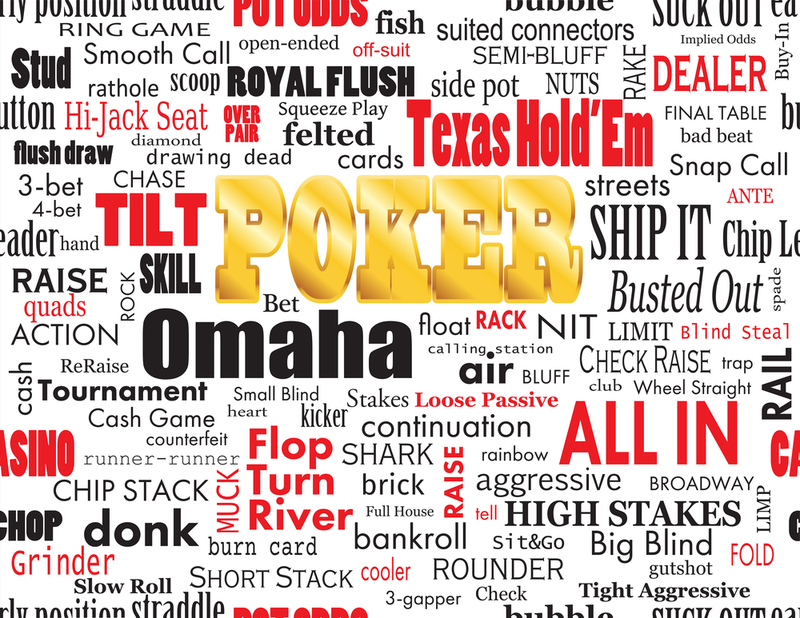 Omaha online poker does offer games with no limit, but nothing like as many as Texas. Many people find the no limit aspect of Texas exciting and therefore prefer it. Don’t draw in the hope of filling out hopeless runs, or minor flushes. You need to draw to “the nuts” – the winning hand you can make. If you can’t make one, fold – your nascent winning hand could be turned to dust and ashes by a redraw. These are some starting strategies to help you begin playing Omaha hold ‘em. You’ll find the pots bigger but the higher amount of action can mislead new players into imagining it’s a fast and furious version of Texas hold ‘em. In fact, it’s a far more complex game because of those four hole cards – so start cautiously, watch what happens and don’t get carried away by a pair of Aces in the hole.